Michael is the newest addition to the Piper family having joined at the end of 2017 after completing his Bachelors Degree in Property Economics from the University of Technology, Sydney. 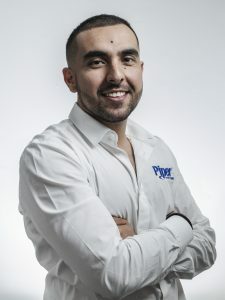 Having developed a passion for property at a relatively young age, he brings exuberance, a fresh perspective and a can-do approach to all matters of property and real estate and this is reflected in his day to day work. Michael believes the strong internal culture at Piper Property Group is what sets them apart from other firms and what paves the way for exceptional customer service. Michael is responsible for our tenancy and maintenance teams along with marketing to ensure that tenants can easily find our properties and are further taken care of once they move in to their new home. Michael is responsible for our tenancy and maintenance teams along with marketing to ensure that tenants can easily find out properties and are further taken care of once they move in to their new homes. Michael is always looking at improving our customer service offering through continued professional development to ensure he is up to date. He is excited to be working for a team that delivers quality projects around Sydney and is eager to learn and refine his skills as his career progresses.